We’ve been waiting all year for Summer Time – and it’s finally here! I’m sure you are ready for Summer, but is your newest addition? 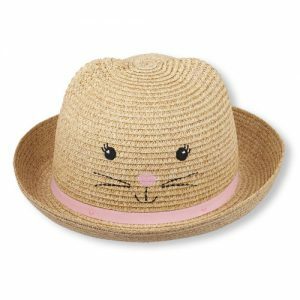 Before taking your little one out to enjoy some summer time fun be sure to protect them from the sun and heat. It is recommended by experts that babies under 6 months old avoid sun exposure. Here’s a list of suggested things to pack in your beach bag! 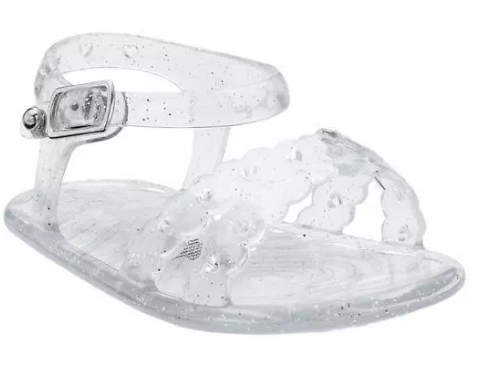 If your baby is walking make sure you put little sandals on your babies feet to protect their little piggies from the hot sand. 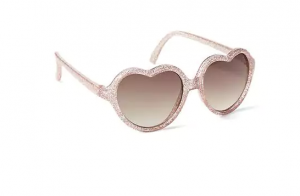 If they’re not already walking at least they’ll look fashionably cute! It’s always important to be mindful when choosing a hat that the flaps cover the ears and back of the neck. Not only do they serve a purpose, but they also make your baby look exceptionally cute. Getting your baby to keep the sunglasses on is the biggest challenge, but if you’re successful choose a pair that block both UVA and UVB rays. 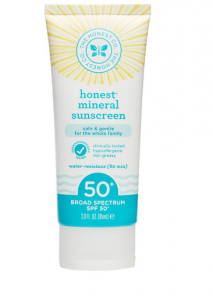 The Honest Company makes a great non-chemical sunscreen thats both easy to apply and water resistant. It’s always a good idea to apply sunscreen at least 30 minutes prior to sun exposure. The Baby Center has a great article on choosing the right sunscreen you can read it here! If you’re hitting the pool or the ocean, you’ll need swim diapers. 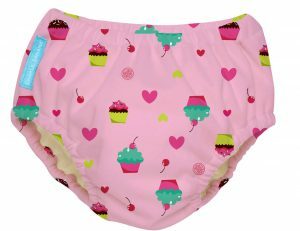 Save the planet & money by choosing reusable swim diapers. These diapers by Charlie Banana are soft against your child’s tender skin — trimmer than disposable (won’t swell up) with adjustable waist ties for extra security. 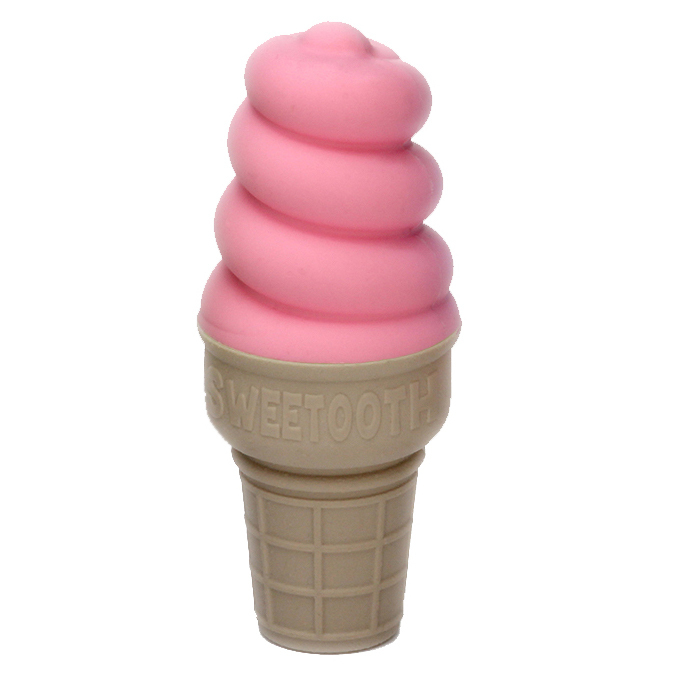 What is cuter than an ice cream cone teether!? Babies love to chew on stuff – give her a “cold” treat for your next pool /beach day! My baby loves this! With any little one it’s always good to have some toys that play music! 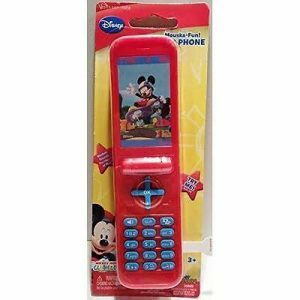 My baby girl loves the Mickey phone. It has all sorts of sounds plus Mickey talks to her – What beats that!? When was the last time you went to the pool or ocean without a good book, your tablet or a magazine? Lets face it – we like to read and be entertained. Start that tradition with your little one with Highlights Magazine for Babies! They have monthly magazines for three different age groups: 0-2, 2-6 and 6-12. My baby gets the 0-2 since she’s only 6 months. 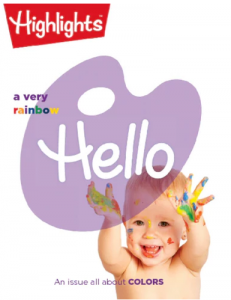 Hello magazine supports early language development and encourages parent/child bonding time. All in a baby-safe package! What are your plans this summer? Comment below!